A fire waiting for a place to happen. 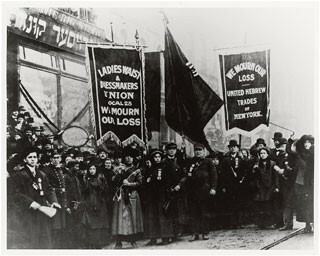 Join us today at 6:00pm at the church across the street from the Triangle Shirtwaist Factory to discuss: locked doors, accumulation of flammable rags, hazardously stored cleaning fluids, and narrow congested aisles. You could prevent the death of your mother, your sister, your girlfriend. Come stand with us.